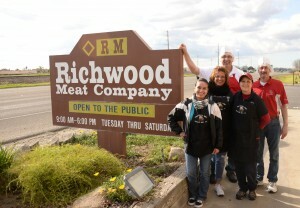 Richwood Meat Company is a closely held California corporation that was incorporated on December 8, 1974. Our company grew from the partnership of John Wood and Richard Rohrback. Our company’s policy has always been to purchase the latest technology if it will reduce costs and increase efficiency. In recent years, Richwood Meat has not been forced to compete on the basis of cost, but our management team still spends a large amount of time looking at new technology and designing ways to decrease ongoing manufacturing and operating costs. Presently, Richwood is growing rapidly with no single customer providing an inordinately large portion of the company’s total sales or net income. Our principal markets are wholesalers and retailers of ground beef products. 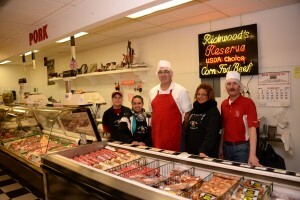 Richwood’s principal customers are restaurants and families. The majority of our customers are located in the western United States and the Pacific Rim. In 1998, Mr. Rohrback retired and our employees created an Employee Stock Ownership Plan (ESOP) as a vehicle to purchase his interest. The transformation to an employee-owned company is going even better than envisioned. Over the last few years, the employee/owner team has found several ways to realign processes/suppliers and create significant reductions in ongoing costs in areas such as packaging, fuel, truck fleet maintenance, utility costs, and employee benefits.